Hey Hey!! 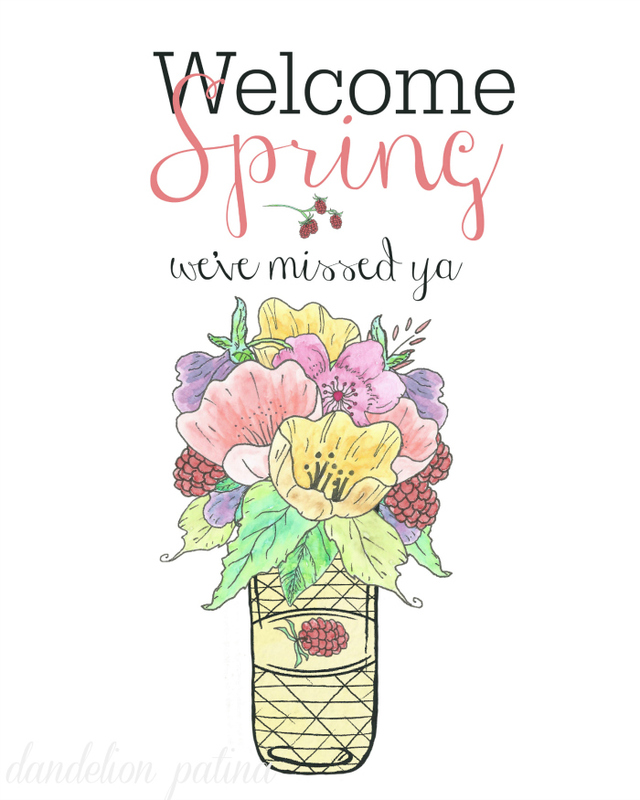 Happy First Day of SPRING!!! To celebrate I’ve got an awesome guest to introduce to you today. Welcome Michelle from Dandelion Patina. 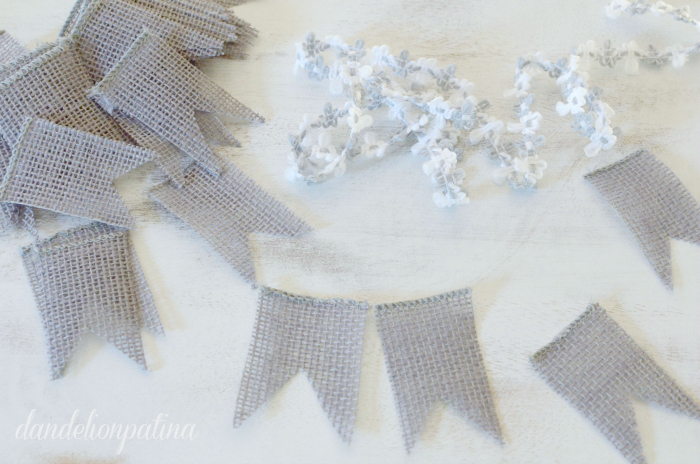 I know you’re going to LOVE her DIY Burlap Banner tutorial. Hey Houseologie readers! 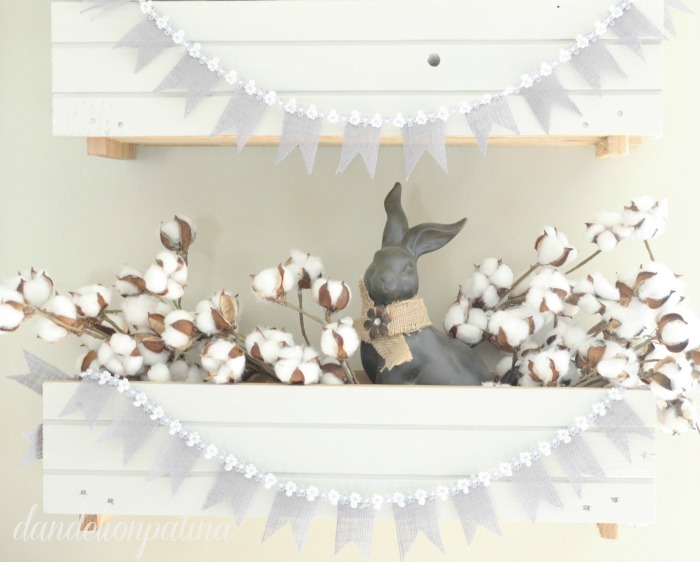 My name is Michelle and I blog over at Dandelion Patina. 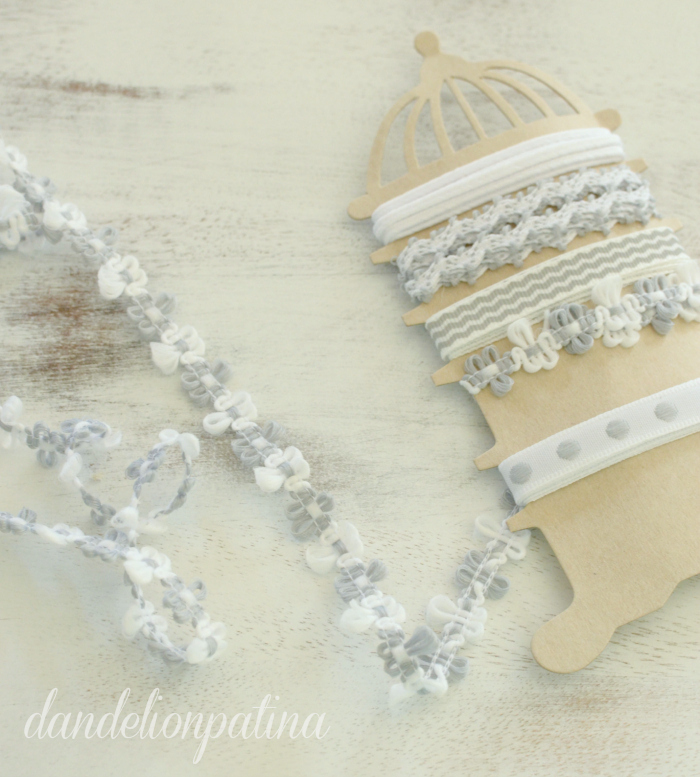 At Dandelion Patina you can find simple DIY projects, upcycled treasures, and fun crafts. I would love for you to stop over and become part of the DP Community. Before I begin with the tutorial, I wanted to share that I am starting a few exciting new features over on the blog. First, I am looking for readers & bloggers who pamper their pets! I love animals and I love all the special moments our family shares with our two dogs. So, if you pamper your pet, please stop over & sign up to be featured! I will shine the spotlight on your pet in a monthly blog post with photos and then your pets photo will go up on the Pampered Pets Portfolio Page! It should be a fun way to share how much all our pets mean to us! Second, I will be starting a Blog of the Month Club. Each month I will be choosing a blog that inspires me and conducting a brief interview along with a few fantastic photos of their work in a blog post. They will then be showcased on my sidebar and added to the Blog of the Month Portfolio Page along with some social media shout-outs! If you are a blogger, feel free to apply here. It will be a great way to find new inspiration, get to know fellow bloggers, and share! I have a few painted cedar flower boxes in my dining/kitchen area. This is where I typically display my seasonal/holiday vignettes. I do this because the boxes are up away from the kiddos and the pets. It is a focal point as you walk into the home from the front hall. The cedar boxes add dimension and texture to the room. I love these little boxes. Let’s get started with the tutorial!! The decorative trim was found at Michael’s craft store in the $2 bin section. I love shopping this area of the store. 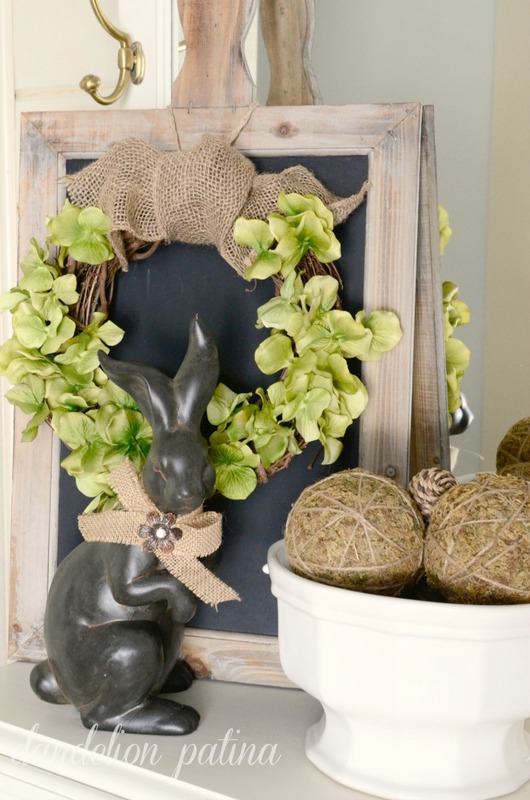 There is always fun decorative pieces for very little money! To create this banner follow these simple steps. 1. 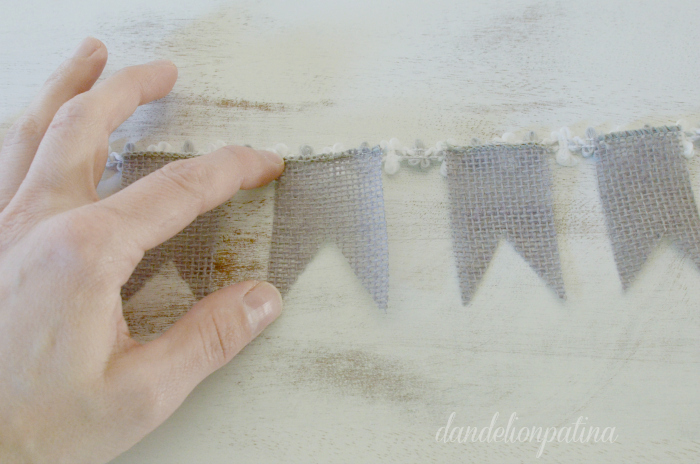 Cut rectangles out of the burlap ribbon to your desired size. 3. Lay out your decorative trim-right side down. 4. Hot glue the burlap pieces onto the trim. Space as desired. Your finished piece will look something like this. As my daughter would say, easy-peasy lemon squeezy! 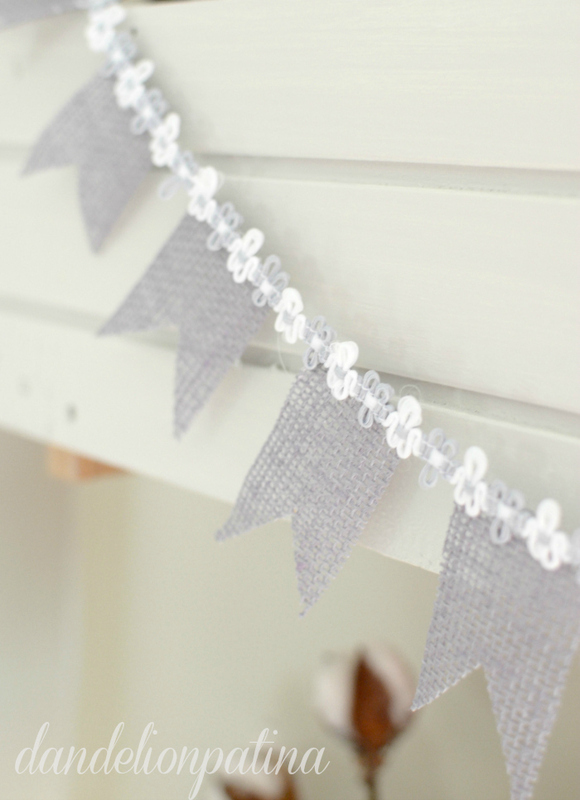 This banner is super sweet and inexpensive. Be sure to follow DP on the blog, Pinterest, Facebook, Instagram, and Twitter. I really like this Michelle! 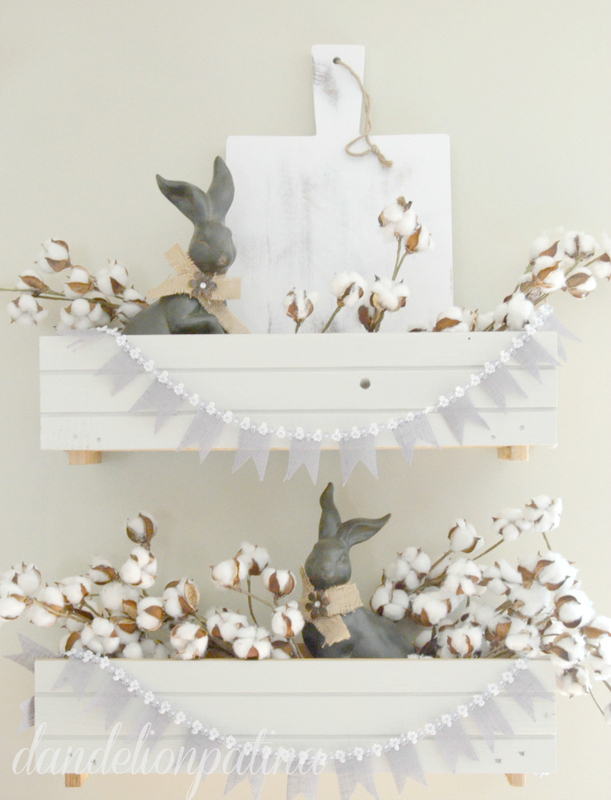 And your dried cotton sprigs! So pretty! Aw, thank you! Happy Spring. 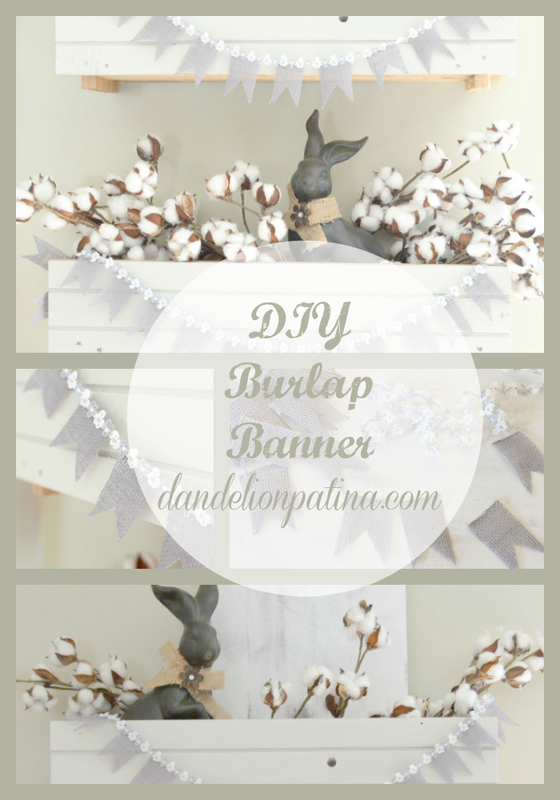 I love burlap! This is so pretty, Michelle and Leign Anne. 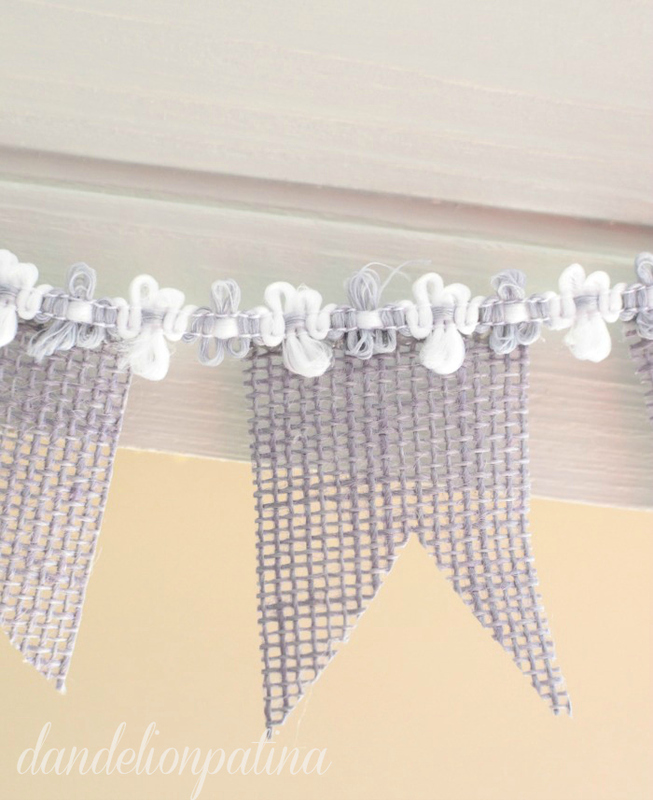 Perfect for Easter home decor or a spring party! Love it! So femine and simple and pretty. You could totally leave this up all year round!